I’m not a huge fan of peanut butter, to be honest I don’t even like peanuts. What’s strange about my dislike for peanuts and peanut products is that I like them in somethings, I just don’t like them on their own. For example, I wouldn’t be caught dead eating a spoonful of goopy peanut butter, but I have been known to sneak some PB into my smoothies or even salad dressings. This smoothie here is an example of how I like my PB, i.e. hidden beneath other more prominent flavours. Combine all ingredients in a blender and blend until smooth. 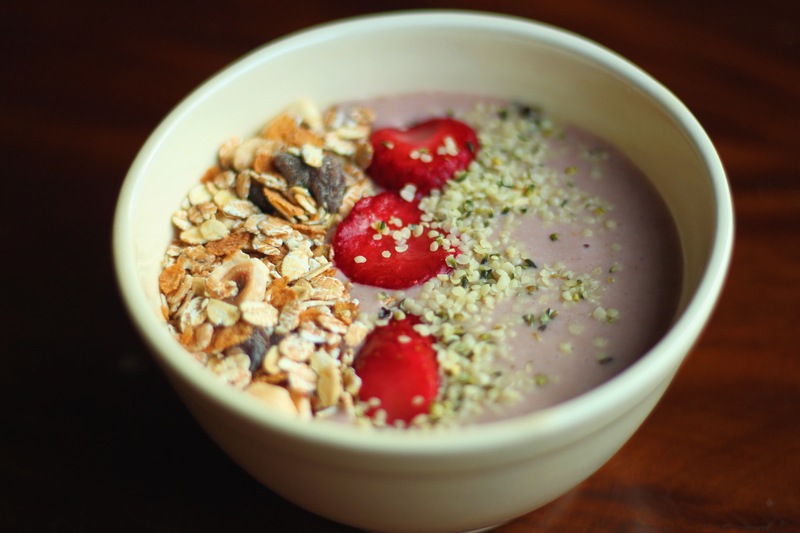 This can be enjoyed as either a smoothie bowl or a straight up drinking smoothie.